Landscape Repair & Clean-Up Tucson, AZ | Sonoran Gardens Inc.
Sonoran Gardens Service and Repair division is dedicating to making your outdoor living areas beautiful and keeping your irrigation and lighting systems working like new. We offer a full range of services including repair, renovation and clean-up. Our experienced and knowledgeable technicians can handle just about any situation. They are familiar with all the most recognized irrigation brands in the industry such as Hunter ®, RainBird ®, and Toro ®. 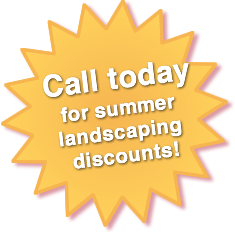 For those looking for an all-encompassing landscape care program, please click here to learn about our exclusive Custom Landscape Care. Your lighting and irrigation systems will require maintenance to ensure that they continue to work optimally. Unfortunately, something will eventually break. A broken pipe can waste hundreds of gallons of water and lead to plant death. Broken lighting can look unsightly and cause pedestrian hazards. Our Sonoran Gardens’ staff can provide reliable service that will, in the long run, save you money. Weather based (“SMART”) controllers, moisture sensors, rain shut off devices all help conserve water. If you are in upgrading your system with new water saving technology, give us a call! In addition, Quarterly Service Contract clients receive priority scheduling on any emergency or repair that may occur throughout the year. Call today for your Quarterly Service Contract quote! Service and Repair visits provide on-site pricing and invoicing for payment on completed services/repairs. All repair work will be completed, if possible, at the initial visit.